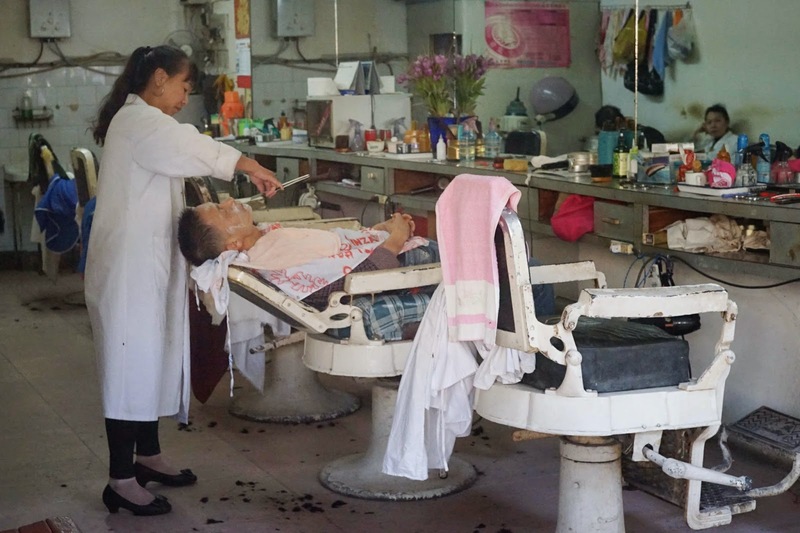 In China the average salary for a GP is about half that of a hairdresser. If you relied on the official Chinese media you could be forgiven for thinking that China's primary care system was the best thing since sliced bread. Hardly a week goes by without an article extolling the virtues of the new networks of general practitioner-based community health clinics. Many cities such as Beijing and Shanghai are strongly encouraging all residents to enrol with the local community medical centre and to visit the GP for everyday ailments rather than going direct to hospital. The public are enticed to see GP clinics with incentives, such as the free or low cost availability of GP clinic services and ease of getting to see a GP with little need for waiting or queuing up for registration, as is the case with hospitals. Unfortunately, the great Chinese public are not buying it, and they continue to make a beeline for hospitals whenever they are sick. This week a revealing commentary in the Quarterly Journal of Medicine paints a more realistic picture of China's fledgling GP system. In fact, fledgling isn't the word, foundling might be a better descriptor. According to the article by Dr Kong Xiangyi and Dr Yang Yi of the Peking Union Medical College Hospital and Chinese Academy of Medical Sciences, the primary care system is in a kind of "Failure to Launch" status. They say the government's stated aim of training 150, 000 GPs by 2015 is pie in the sky. The problem, it seems, is that nobody wants to be a GP and nobody wants to see a GP. In China, to be a doctor in the community health service is a low-status position in an underfunded and unrecognised branch of medicine. As the two doctors point out, "the average annual income of a Chinese GP is less than half of a hairdresser and far lower than a specialist." Part of the problem is that there isn't really any good local model for the would-be GP to emulate. There is no real definition of a GP, and currently many GPs are little more than barefoot doctors - local clinic practitioners who have received five years of basic training in health and medicine. They are employed to offer the "Six Basics" of health: prevention, health education, women and children’s care, elderly care, immunisations and physical rehabilitation. There is also a three-year postgraduate program for medical graduates to train as GPs, similar to that seen in western countries. However, there are very few takers for these courses and their impact on the national medical workforce has been minimal. The authors of the article say that there appears to be little real enthusiasm for creating a genuine general practice system in China. As they put it, there is a lot of policy, but very little concrete support for funding and training programs. There are no primary care institutions or programs in China: the speciality is a career dead end, and the cream of China's medical expertise and social status is still centred around the big teaching hospitals. The solution, according to the authors, is for China to emulate foreign countries that operate well-funded and high status family medicine programs. The aim must be to create a gatekeeper system in which patients are triaged by the GP before being allowed to see a specialist. And conversely, GPs must be enabled to provide follow up care after a patient is discharged from hospital. To do this, the health ministry needs to harness the skills and the prestige of the major hospitals to implement such programs. Until that happens, patients will continue to avoid the community medical clinics, which are underfunded and have poor quality and outdated equipment. The lack of funding means that GPs have to charge commissions on drugs and medical supplies, further eroding trust in their services. "China’s current reforms still do not emphasize enough the value of GP led primary care," they conclude.